Where Are All the Cold Plates? 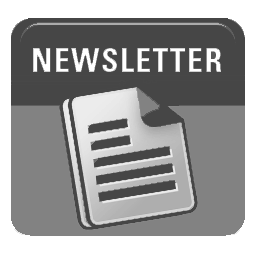 Recently, a prestigious U.S. university’s research lab contacted TECA. The team needed to cool a 340-well micro plate. Their vendors had many hot plates to offer, but no one seemed to offer a like product for cooling. 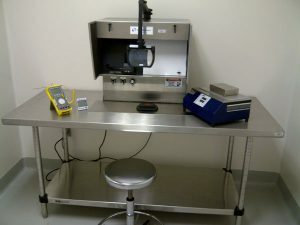 The lab team was happy to discover TECA products online and the AHP-301CPV proved to be the right fit. The lab’s 340-well plate is filled with a solution housing micro-organisms. 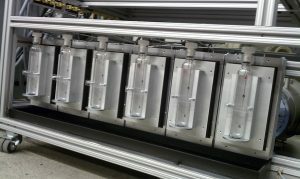 To get the organisms to migrate to the bottom of the wells, the lab needed controlled cooling to 0degC. However, there is a limited temperature range in which the organisms do not degrade so precise control was paramount. Read moreWhere Are All the Cold Plates? 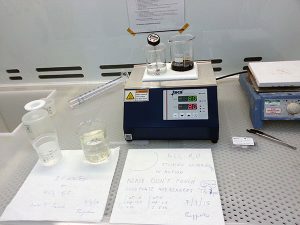 In a chemical process (catalysis), the customer uses several TECA Model AHP-470CP Cold Plates to condense methanol out of a vapor stream and collect liquid in the 100 mL glass vessels shown. 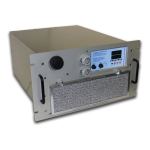 The AHP-470CP offers a convenient small size and is customizable to the end user’s needs. Please see the “Options” section on the product data sheet to learn more. 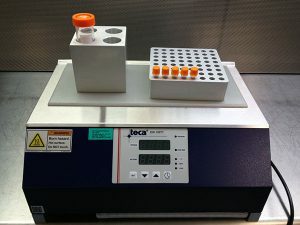 A research and development team in Europe uses the TECA Model AHP-1200CPV Cold Plate with a TECA Model TC-1 Tube Chiller attached. Their process is proprietary but involves optical material and measurements. 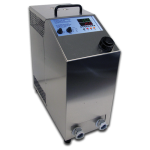 The TC-1 Tube Chiller is designed to heat or cool fluid without introducing contaminants to the fluid. 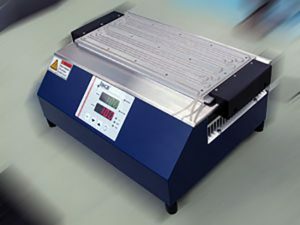 The fluid flows through the flexible tubing (various tubing diameters are possible) within the plate surface. Here’s an application that our engineering crew would love to put into greater use if they could figure out where and how. A specialty gas company called. They wanted to transfer toxic and corrosive liquids from big to small containers for lab use. The process had been taking several minutes with too much wasted product. They knew because of the conditions a natural head pressure in the big container that they could use a cold plate to cool at the receiving vessel (Ø 1.5″ x 12″ bottle) to create a driving force which moves the fluid. We didn’t go into the physics of this, we trusted what the customer said and worked with them. When they tried an AHP-1200CP it was fantastic. It turned 4 minutes and a lot of waste into no waste and 40 seconds. The AHP-301CPV is installed in our big clean room*. Here we fabricate our micro/nano devices for electronic and photonic applications. 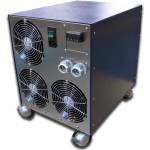 we have now the possibility to do experiments at controlled temperatures and in a really wide range of temperatures. 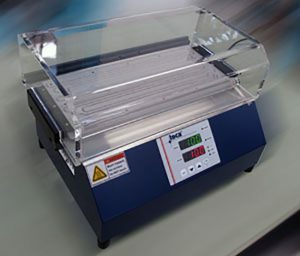 This allow us to increase the reproducibility of our results, which often are so dependent by Temperature. AHP-301CPV keeps stable the temperature of an acid solution inside a beaker (max 6 or 7cm in diameter and max 10cm in height). 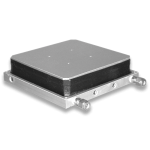 TECA’s cold/hot plates are not specifically designed for clean room use however the customer determined this product would be suitable given the restrictions in this particular clean room. A private biopharmaceutical company formulates drugs that are sensitive to temperature. 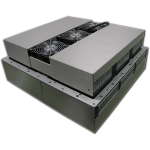 TECA Model AHP-1200 CPV is their perfect benchtop cooling solution. 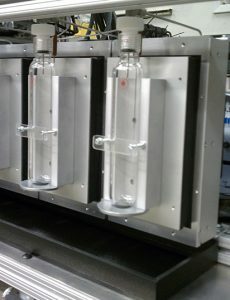 The customer uses the AHP-1200 CPV Cold Plate in combination with the customer’s own aluminum blocks to keep solutions at 0C during filtration and vial filling operations. The customer reports, “We have been very satisfied”. 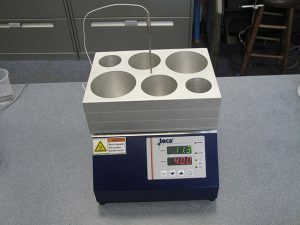 This customer provided photo is a wonderful example of the versatility of TECA’s line of Laboratory Cold/Hot Plates. 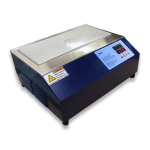 The plate surfaces are appropriately sized to accept microtiter plates and other lab accessories. The temperature can be read from either the plate surface or anywhere a remote sensor can be placed, via the Remote Sensibility™ feature. I’d guess that Schott do not make their bottles to too tight specifications, so we would need to allow some room for tolerances. What do you think? These could be arranged in any way that fit best and that minimized any top plate overhang over the cold plate beneath. We can foresee out-growing the 50 mL bottles, so ideally would like the ‘walls’ surrounding the 50 mL wells to be thick enough to later be drilled out so that the wells can accommodate 100 mL Schott bottles (the one I measured was 56mm diameter). The height of the top plate (i.e. depth of the wells) only need be about 70 mm. For the current application, we only need to chill to about 5 deg °C. Does the range we are interested in affect anything? 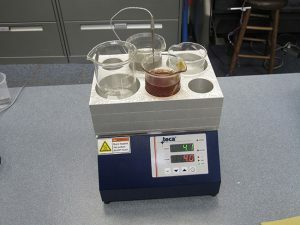 In May we shipped the custom “Beaker Block: and AHP-301CPV. A medical device manufacturer uses a TECA Low-Temperature Cascade System in his design process. 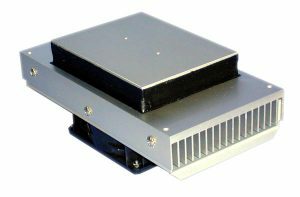 The Cascade System consists of a TECA Cold Plate and Cascade attachment. 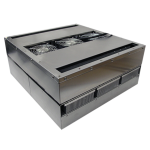 The system offers direct contact cooling to the customer’s load. 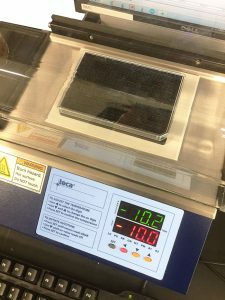 In this example, the customer was able to cool his load of Isopropyl Alcohol solution from +25 °C to -25 °C in about 35 minutes. Cooling to such low temperatures allowed the customer to package his very small , invasive medical device. 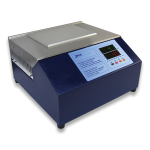 The AHP-1200CPV is used in a customer’s Quality Control inspection process. 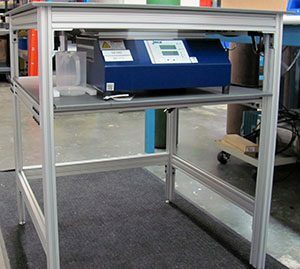 The customer required a specific piece of equipment that would allow for bench top inspection of solution samples contained in small vials. 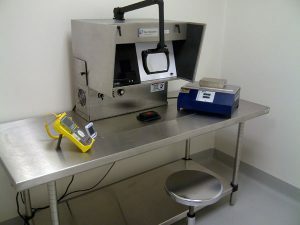 Maintaining a 5C temperature throughout the QC inspection process was crucial. 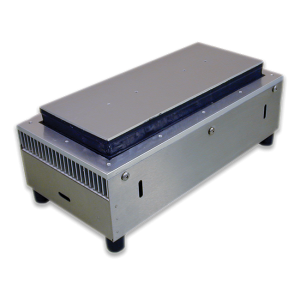 Ease of use and dependable control by TECA Model AHP-1200CPV Cold Plate has made the customer’s process more efficient. The WWW brings many to TECA’s door. 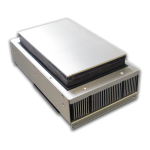 These particular customer requirements were filled by an AHP-300CP Peltier cold plate. 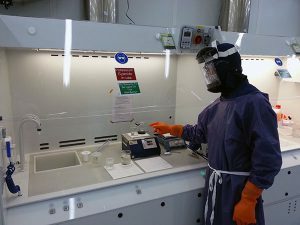 He needed to control the temperature of a 96 well titer plate in a new product design. But he needed just a few things the standard unit didn’t provide and he didn’t need some that it did provide. 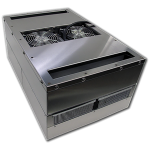 He wanted a 24 VDC heat cool system with continuous fan operation and a custom tap pattern on the cold plate. 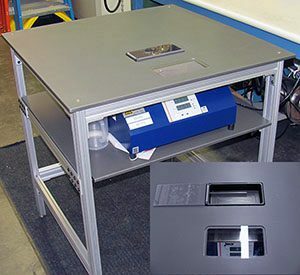 In short order the TECA sales team assigned a preliminary part number, passed the requirements through to engineering and together the first units were modified and shipped. 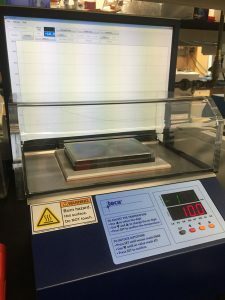 This gave the customer plenty of time to work with the solid state cold plates and refine his requirements into the custom design he uses today. 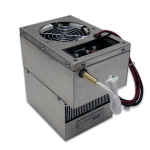 The AHP-300CP series is now replaced by a newer and more efficient model the AHP-470CP series.